For many Rolex collectors, buying pre-owned is the only way to go. While purchasing a used Rolex can often be far more cost effective than purchasing a brand-new one, it is also the only way to get ahold of vintage references that are no longer in production. As the brands best-selling and widely recognizable line of watches, the Submariner is a popular choice for first-time buyers and seasoned collectors alike. The Submariner has been a mainstay among Rolex offerings for well over half a century, during which time many different references have been produced. At the present time, Submariner retail prices start at $7,500 for the basic, stainless steel Submariner no-date (reference 114060), and quickly go up from there with the introduction of a date complication and the use of precious metals. Purchasing a pre-owned Submariner is a fantastic way of getting an iconic dive watch for a much more affordable price. Although Rolex has produced numerous Submariner references over the years, they only sell its most current incarnations. In order to purchase any Submariner other than the most recent version, buyers must turn to the pre-owned market. Additionally, even when buyers seek the most recent Submariner references, buying pre-owned can save them hundreds, and even thousands of dollars. Furthermore, some vintage Submariner references have risen to extreme collectability over the years, bringing in tens-of-thousands - and even hundreds-of-thousands of dollars at auction. Their massive valuations - often far exceeding the retail prices of their contemporary equivalents is due to their age, limited production numbers, or even past owners. 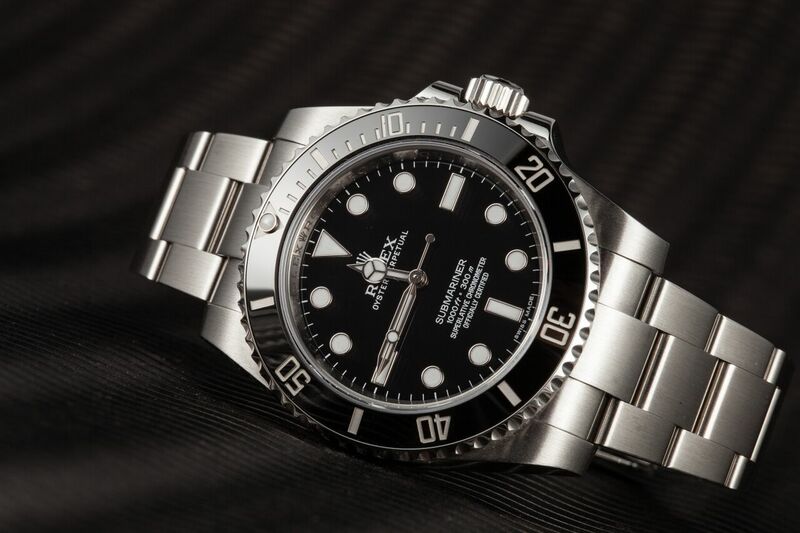 In fact, some of the most expensive Rolex Submariners to ever be sold at auction attained their astronomically high prices solely due to the notoriety of their previous owners. In 2009, Steve McQueen reference 5512 Rolex Submariner brought in a whopping $234,000 at auction, solely because it was the watch that McQueen actually owned and wore during his lifetime. A big part of the reason why people choose to collect vintage watches is the history that accompanies a timepiece that is had multiple owners throughout its lifetime. Many Rolex owners actually find it appealing that their watch has a history that pre-dates their ownership of it. Even for those that do not care about the provenance of their watch, purchasing a pre-owned Submariner is a fantastic way of owning Rolexs legendary dive watch at a much more accessible price point.